DELICIOUS HOMEMADE PASTA IN GREAT ENVIR...... delicious sea salt caramel cheesecake. Our Brie cheese board featuring warm French brie topped with garlic infused olive oil, 25 Star Balsamic and candied pecans. Served with gala apples, fresh strawberries, red pepper jelly, French bread and toasted crisps. Breaded ravioli pan fried in olive oil. Topped with Parmesan Reggiano and severed with our housemade marinara sauce. Toasted Parisian bread brushed with butter and topped with sopressata, mozzarella cheese, Parmesan Reggiano and 25 star balsamic. Served with our housemade marinara. 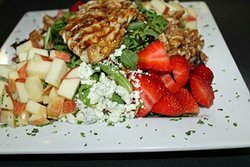 Enhance your salad with Grilled or blackened chicken $5, Shrimp $6, Charcuterie meats $5, Sea Scallops $8, Lobster and Crab Cake $9. Crisp heart of romaine, Roma tomatoes, applewood bacon, Greek olives, gorgonzola cheese and grilled balsamic chicken. Served with blue cheese dressing. Fresh artisan mixed greens, feta cheese, Greek olives, red onions, Roma tomatoes, artichokes with stems, cucumbers and pepperoncini peppers. Served with Mediterranean feta dressing.13. 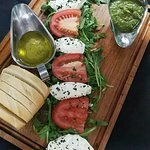 Pressed Parisian bread brushed with Sicilian mayonnaise, topped with Roma tomatoes, baby arugula and our hand breaded Grouper Filet. Market availability. Sun-dried tomato flour tortilla with smoked turkey, Applewood smoked bacon, romaine, Roma tomatoes with Sicilian mayonnaise and 25 star balsamic. Sun-dried tomato flour tortilla with grilled balsamic chicken, romaine, Roma tomatoes, mozzarella,smoked bacon with Sicilian mayonnaise and basil pesto. Pressed Parisian bread with smoked turkey, soppressata, mozzarella cheese, Roma tomatoes and garlic sauce. Served with choice of side. Pressed Parisian bread brushed with Sicilian mayonnaise, topped with Roma tomatoes, baby arugula and our housemade lobster and crab cake. Served with choice of side. Pressed Parisian bread with smoked turkey, smoked bacon, basil pesto and mozzarella cheese. Served with choice of side. Pressed Parisian bread with a blackened chicken breast, sautéed onions and red peppers, smoked 0bacon, mozzarella cheese and horseradish sauce. Served with choice of side. Pressed Parisian bread with smoked turkey, French Brie cheese, fresh sliced strawberries, baby arugula and housemade red pepper jelly. Served with choice of side. 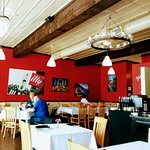 Pressed Parisian bread with meatballs or Hot Italian sausage, sautéed onions and red peppers, mozzarella cheese and our housemade marinara sauce served on the side. Served with choice of side. Imported Italian Fusilli pasta tossed with our housemade Bolognese Meat Sauce. Large cheese filled tortelloni with onions, red peppers, garlic and our housemade bolognese beef sauce. Greek olives, artichokes with stems, red onion, Roma tomatoes and grilled Balsamic chicken. Sautéed together in garlic infused EVOO and basil pesto. Tossed with imported Italian Linguini. Large cheese filled tortelloni with zucchini, red onion, squash, mushrooms and Roma tomatoes. Served in our housemade white wine garlic cream sauce. Add meatballs or HOT Italian Sausage $2.00. Prepared with fresh zucchini, squash, onions, garlic, ricotta and mozzarella cheeses. Layered with our housemade marinara sauce and imported lasagne pasta. Add meatballs or HOT Italian Sausage $2.00. Guest favorite for over 12 years. 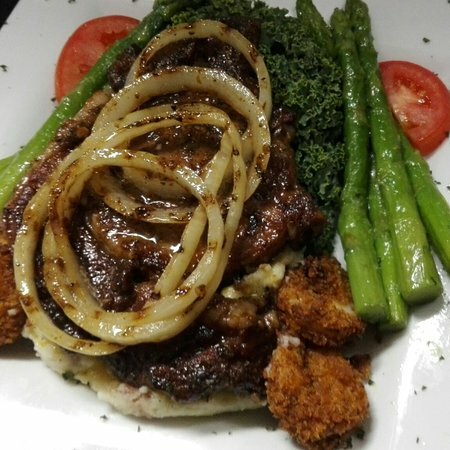 Our Bourbon Filets have been a guest favorite for over 14 years since our first location in Hiawassee. Two hand-cut four ounce Black Angus medallions lightly blackened and pan sautéed in EVOO and fresh mushrooms. Topped with Lobster meat, finished with our housemade Lobster Newburg sauce. Served with garlic mashed potatoes and your choice of vegetable. Five lightly blackened Sea Scallops and six Shrimp, pan sautéed with sopressatta and peas. Simmered in our housemade Sicilian cream sauce. Tossed with imported Italian fusilli pasta. Two housemade lobster and crab cake's pan sautéed. Served with garlic mashed potatoes, horseradish sauce and your choice of vegetable. 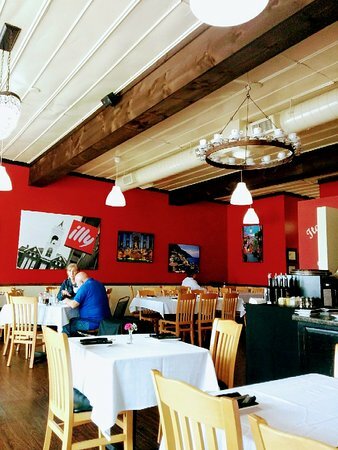 Michaelee's Italian Life Caffe is a full service boutique restaurant with a creative menu and generous portions. 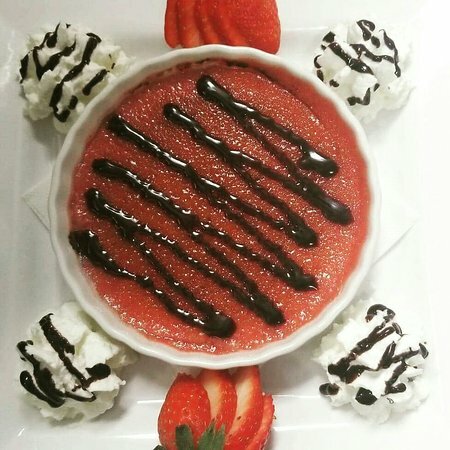 We specialize in house blended loose leaf tea, illy espresso coffee drinks, and our wonderful desserts. Our Executive Chef is Michael Collins, Sous Chef Lenny Collins and General Manager Lisa Collins. Excellent lunch. Great service. Awesome food. We had the Tuscan Orchard Salad and the Bourbon Chicken. 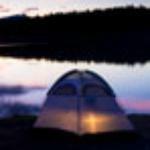 We would drive out of our way to come back. A hidden gem, but a MUST VISIT!!! 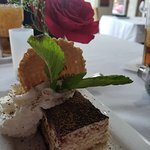 Every time I visit Blairsville, I eat at Michaelee's...Fresh ingredients, cooked to order, and authentic...The Italian offerings are delicious, and second to none...Try the shrimp scampi and chocolate gelato. We found a real gem! 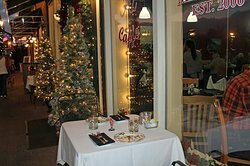 In the old town square, across from the courthouse is Michaelee's, an amazing Trattoria, with authentic, delicious Italian food. 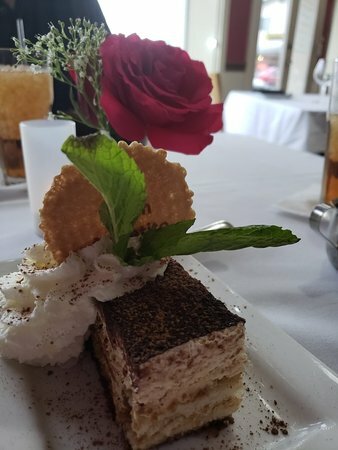 Be sure to save room for the amazing desserts! We had a fantastic meal at Michaelee’s! Everything was delicious, and the service was great! Highly recommend! Birthday lunch with my bestie! Whether it's the chocolate chicken salad for lunch or the bourbon chicken for dinner, Michaelee's is the perfect dining place for every occasion. 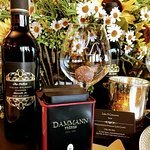 If you are looking for that special place to have a romantic evening, request to be seated in the cellar. Michaelee's offers a nice assortment of entrees but our favorite is their veggie lasagna. It delicious and really enough for two. Never disappointed when we go there. 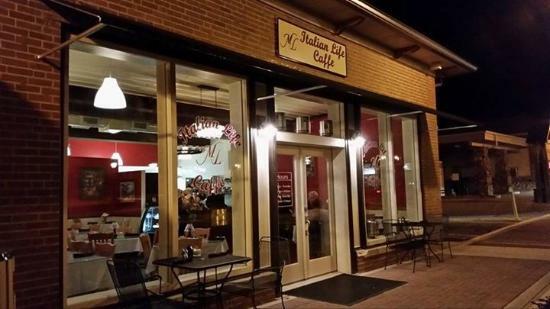 Get quick answers from Michaelee's Italian Life Caffe staff and past visitors. Do this restaurant serve wine or can we bring or own? Corkage charge? As someone who has a food allergy to gluten, are there any good options for me? By this I mean other than soup. Good morning, yes we do have options for gluten allergies. 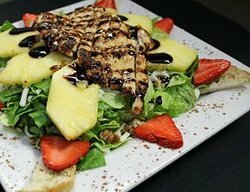 We have entrée size salads and our imported garlic infused extra virgin olive oil and aged balsamic are fabulous. We have filet and chicken dishes the chef would be happy to make without flour. We also have a tasty new GLUTEN FREE chicken and kale ravioli! Our guests have been asking for gluten free pasta and we have listened. Come in and enjoy!